Next table contains a summary of the external interfaces related to vMX. Internal back-to-back interfaces are not included in this table. Note: vmnet4 and vmnet5 are the networks where I will connect vSRX and XRv devices. 259 packages can be updated. 160 updates are security updates. I have installed vMX virtual router using Day One: vMX UP and Running book available on Juniper Networks website. The vMX VM deployment is out of the scope of this article. # Config file for vmx on the hypervisor. # Leave a space after ":" to specify the parameter value. Edit vmx-junosdev.conf file. I have used vi editor. Pres [i] to enter Insert mode. Edit the file according to the connectivity design. Pres [esc] to exit Insert mode. Then type :wq! to write and quit vi editor. # - Config file for junos device bindings. # - Uses YAML syntax. # - Leave a space after ":" to specify the parameter value. I will reinstall my vMX using the edited configuration files and the orchestration scrip vmx.sh. ^-- the external bridge that is used for management of the vMX and the KVM host. ^– The taskset command is used to achieve better performance in virtio mode. Another interesting view of host ifconfig output. I will check my VFP serial console connectivity using user root and password root as configured default. !!! Some logs show up into this console. The can’t open ‘/var/jnx/card/local/type’ portion I remember from Junos vMX Router on VMWare Fusion article I’ve written 2 days ago. Interesting! start_riot.sh: line 105: 3020 Killed /home/pfe/riot/build/app/riot -c 0x7 -n 2 -- --rx "(0,0,0,1),(1,0,1,1),(2,0,2,1),(3,0,3,1),(4,0,4,1),(5,0,5,1),(6,0,6,1),(7,0,7,1),(8,0,8,1),(9,0,9,1)," --tx "(0,1),(1,1),(2,1),(3,1),(4,1),(5,1),(6,1),(7,1),(8,1),(9,1)," --w "2" --rpio "local,3000,3001" --hostif "local,3002" --bsz "(32,32),(32,32),(32,32)"
/home/pfe/riot/build/app/riot -c 0x7 -n 2 -- --rx "(0,0,0,1),(1,0,1,1),(2,0,2,1),(3,0,3,1),(4,0,4,1),(5,0,5,1),(6,0,6,1),(7,0,7,1),(8,0,8,1),(9,0,9,1)," --tx "(0,1),(1,1),(2,1),(3,1),(4,1),(5,1),(6,1),(7,1),(8,1),(9,1)," --w "2" --rpio "local,3000,3001" --hostif "local,3002" --bsz "(32,32),(32,32),(32,32)"
The default configuration is user root with no password. I have already configured the vMX in my old laboratories. The authenticity of host '192.168.83.11 (192.168.83.11)' can't be established. ECDSA key fingerprint is 34:0a:47:46:92:0f:f9:ba:8d:e3:99:9a:bd:3c:82:71. Warning: Permanently added '192.168.83.11' (ECDSA) to the list of known hosts. BINGO!! Now I can connect also from my MacBook using SecureCRT. Next, I create and I save into my SkyLifter project folder a base configuration file using file path: SkyLifter/SkylifterSource/vmx_base.conf. This article shows you what are the networks, the IP settings and the connections of the virtual elements. Note: IP settings for vmnet4 to vmnet7 will vary based on the project. Open Fusion Application then go to Preferences… > Network tab. Click on [+] sign and create all needed interfaces. For vmnet3 you have to check Connect the host Mac on this network. For all other networks, you have to make sure all options are unchecked. 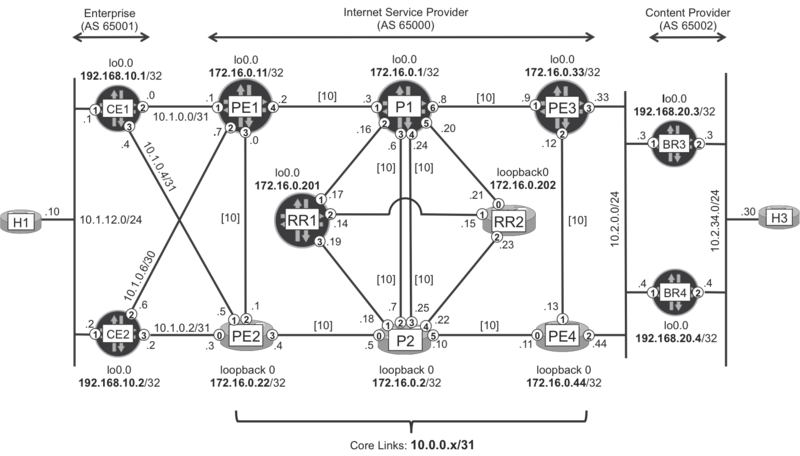 OoB MNG network is built on vmnet3 as shown in the diagram.